A new residential college facility at the University of Queensland is building on a 100 year legacy and helping inspire future leaders. 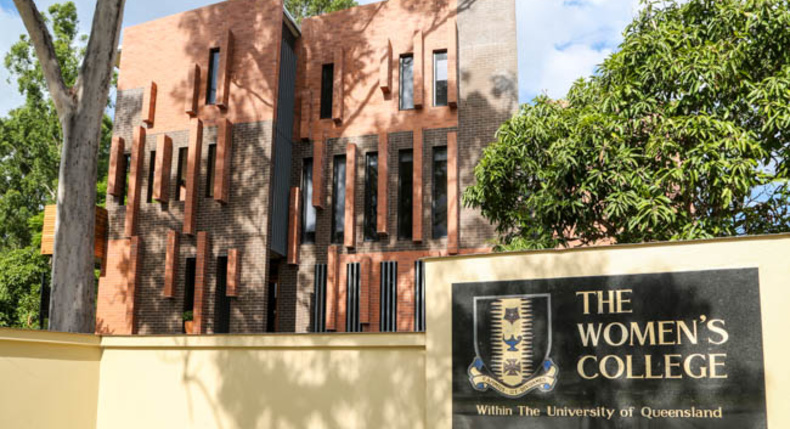 The opening of the Women's College's new Centenary Wing provides living space for an extra 50 students and offers an enduring monument to the organisation's longevity, while enabling it grow and nurture more women as they learn. Peddle Thorp was appointed as Project Director in 2014, the College's centenary year, and capably led the work in order to deliver the completed facility in time for the 2015 academic year. Established in 1914, The Women's College offers a holistic university experience and on-campus residence, now catering for up to 253 female students. In developing the project brief in collaboration with The Women's College, Peddle Thorp was mindful of the organisation's strong heritage, community feel, and the diverse mix of academic, sporting, cultural and social activities that comprise college life. As well as rooms for students across three levels, the new Centenary Wing includes a residence for the Head of College, three gathering circles for students to come together, and a seminar space that will provide an ideal setting for cocktail events, presentations and dinners. Peddle Thorp ensured the $6.6 million development progressed smoothly, from creating the brief to selecting and engaging the contractor, as well as keeping the project within budget. In the spirit of fostering future leaders, Peddle Thorp included architecture and engineering students residing at The Women's College in the development. Students were mentored by the Peddle Thorp team during construction and attended site visits monthly. The official opening of the Centenary Wing on 14 March drew more than 100 alumnae and friends that were able to of the new space conducted by the College's student leaders.